When you think of dock-style Bluetooth speakers, one of the first things that might pop into your head is Philips’ renowned Fidelio line. Apparently, the Philips AEA7000 is not part of the line, yet it is a Bluetooth speaker that comes with a docking station and, notably, a wireless microphone. The AEA7000 is aimed towards karaoke-loving consumers, who are a potential thriving market in the Philippines. The AEA7000 does not have the premium poise of a Fidelio speaker. Nonetheless, its design is generally decent. The front grille looks metallic, while the remaining body is an enclosure of black plastic. Sitting on top of the AEA7000 is a movable 30-pin dock connector which can accommodate an iPhone or an iPad. In front of the dock, buttons for power, volume adjustment, and Bluetooth pairing are found. Positioned behind the dock is a thick transparent plastic stand, designed to support a docked iPad. Although the presence of a dock clearly suggests that the AEA7000 is primarily aimed towards iOS devices, the speaker can also go along with Android devices, PCs, and other audio sources through a 3.5mm audio jack on the back or Bluetooth. 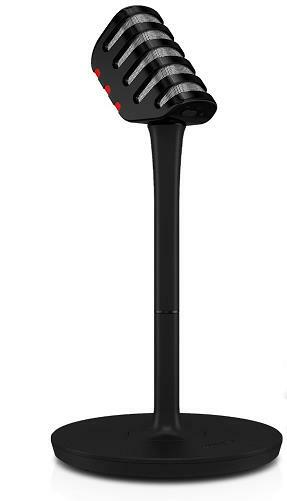 The bundled wireless microphone is made up of plastic, and it simulates the look and feel of a professional microphone. Evaluating the AEA7000 as a dock-type Bluetooth speaker alone, its volume is loud enough to fill a small room. At the maximum level, the AEA7000 can deliver full audio quality without noticeable distortion. We were generally satisfied listening to the hard, pounding bass of The Crystal Method’s “Cherry Twist” and the classical, serene sound of the voice and instruments in Andrea Bocelli’s “Con Te Partiro.” The AEA7000 is also ideal for watching movies on your PC or smart device. However, we preferred listening to the AEA7000 with a 3.5mm audio cable than via Bluetooth. Audio quality sounds fuller and louder with a hard cable. Riding on the popularity of a reality television singing competition, Philips encourages users of the AEA7000 to download and install The Voice: On Stage app. While the app itself is free, the featured songs are not. 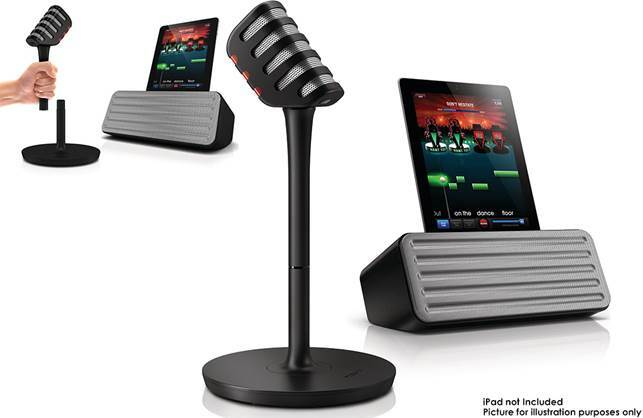 Singing with a 5-watt wireless microphone while squinting on your iPhone or iPad and listening to your voice with a Bluetooth speaker hardly manage to emulate the full karaoke experience. For USD 157.77, you could buy the AEA7000 as a compact Bluetooth speaker. If you’re really after the true karaoke experience, better look for a cheap, decent karaoke set somewhere in Raon.